The St Louis REALTORS® Association had our annual Installation and Awards banquet on Wednesday December 5, 2018. This is where we install the 2019 Board of Directors and swear in our incoming President. The banquet was held at the Missouri Athletic Club which was decked out to the nines for the Holiday season. 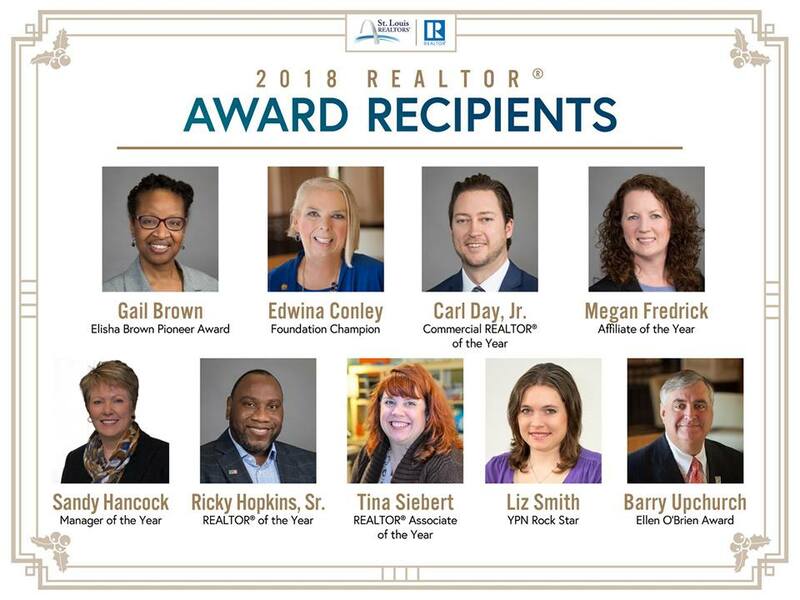 I was honored with the 2018 St Louis REALTOR® Associate of the Year. This is a very big deal for me. I joked that now I should just retire because it’s the highlight of my career. I will keep on going though. 🙂 Congratulations to the other award recipients. I have watched all their dedication, wonderful work ethic and energetic energy over the years. They are all very deserving of these awards. It’s humbling to be in their company.